Since William turned six months on Monday, it was time today for his six month well child and vaccination appointment. As I had to work, Matt took photos for me of the appointment. Instead of crying on the scale as he’s done in the past, William looks pretty calm and engaged for his weigh in. As we all suspected, he is now over 16 pounds. 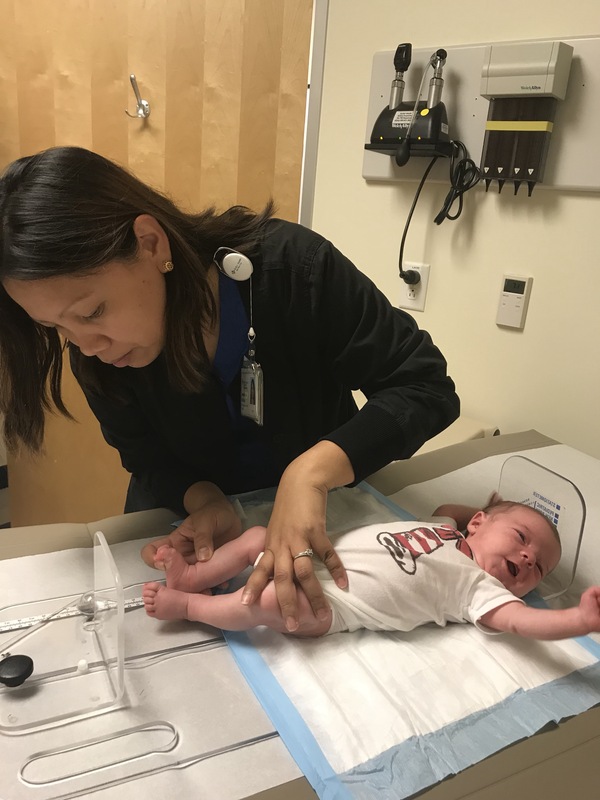 I was fortunate that my schedule allowed me to attend William’s four month doctor visit during which he would, among other things, receive some more vaccinations. It began with him being weighed. I’m not sure what about this makes him cry, my guess is that the scale feels cold to him even with the diaper bad over it. He’s close to having doubled his birth weight of 7 lbs, 7 oz. Although William was 10 weeks old and not 8, this he had the appointment known as the Two Month Pediatric Appointment on Thursday. It was a bit delayed due to the schedule of the pediatrician at the holiday time. At the time the appointment had been made I had not accepted the job I am at now. So, I had anticipated that Matt and I would all go together. Instead, Candy went on my behalf to this, the first appointment at which he would start his vaccination schedule. As usual, William cried during the naked weigh in as he prefers to stay warm. William’s last weekly well child visit was this one, his one month check. As previous appointments had, this one started with measurements to chart his growth process. 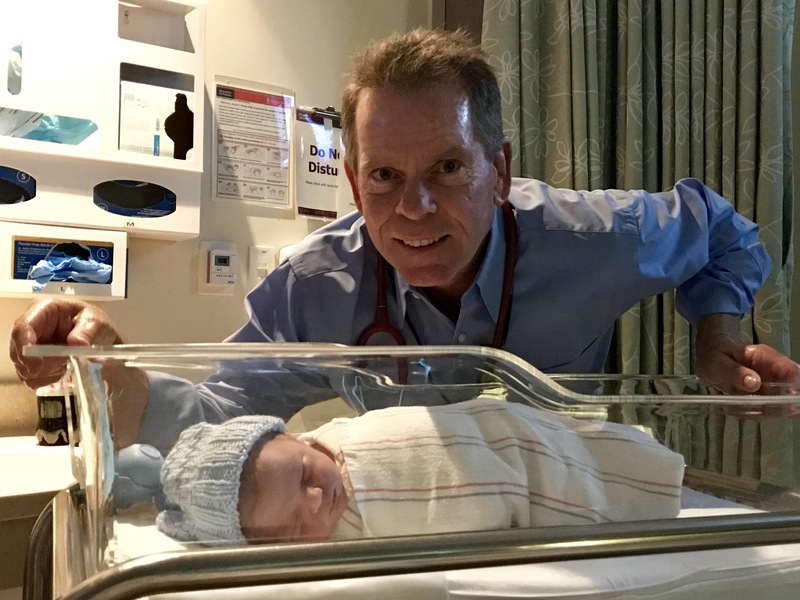 When William and I were in the hospital after his birth, we both saw our individual doctors once a day in the morning. I soon learned that newborns have a lot of appointments and William would need to be seen soon the next week. 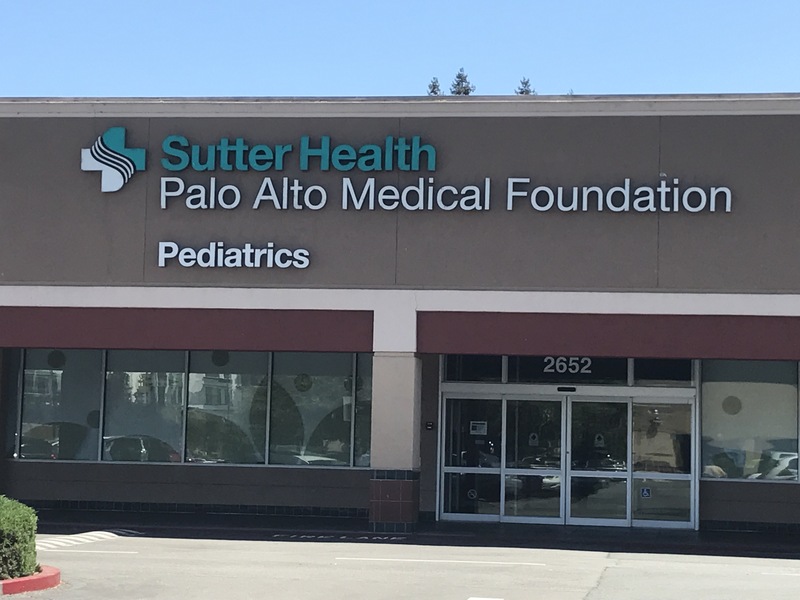 As Dr. V did not have any openings at the beginning of the week, his first post hospital pediatrician visit was with Dr. F.
Matt and I really like my OB, Dr. G, so we wanted to find a pediatrician similar to him. Dr. G had supplied us with two names of doctors meeting this criteria with one slightly more recommended as he had been in practice longer. Last week I talked to the first doctor on the list, Dr. V, who was a great fit even over the phone. In just a few minutes I learned a lot about just how similar he and Dr. G were from having the same first name and training, to having similar views on many things to coincidentally buying homes in the same neighborhood. He invited us to come down near the end of the day on Monday where he would find 10-15 minutes to talk with us.